I received an email asking about advice in purchasing an Olympia Press Naked Lunch. It is pretty safe to say that the Olympia Naked Lunch will remain a desirable collectible and appreciate nicely for some time to come. This book appeals to far more than William Burroughs collectors. Fans of 20th Century literature highspots, American Literature, the counterculture, drug culture, the Beats, small presses with added points from Olympia, collectible paperbacks, banned books, and erotica will all find something desirable in this title. Collectors can choose unwisely in purchasing this book. Seemingly, everybody has a copy. Rare book and auction catalogs, rare book websites and eBay make Naked Lunch easy to find, despite the fact that only 5,000 copies were initially published in 1959. The big issue with Naked Lunch is the nagging urge to pinch pennies and save a considerable amount of money purchasing a middle of the road copy. I would advise fighting this desire. To me, condition is much more of an issue here than with other high end Burroughs rarities. I would buy a lesser copy or a true rarity, the Digit Junkie, for example, because just having the opportunity to buy one is rare. Naked Lunch, like the Ace Junkie, must be bought with a very discerning eye. In the case of Junkie, I think I sacrificed brightness and was more lenient on creasing and wear, because I felt I had to get one right away and not break the bank. The wiser choice might have been to save and wait for a truly lustrous, special copy without the common wear and tear. I have a soft spot for signed copies. I am often willing to sacrifice some condition in order to have the signature. I purchased a very poor copy of the Olympia Soft Machine, because it was signed by Burroughs and Maurice Girodias, the publisher. As an investment, I made an error. In the case of Soft Machine and, particularly, Naked Lunch, the fine, unsigned copy can be even more special than a signed, but worn copy. Like On the Road, these books were used, read, carried in backpacks, sprinkled with Tokay wine or coffee. These books have lived in the world of everyday readers. Many claim to possess a one of a kind copy of Naked Lunch. No tears or creases to the bright purple and white dust jacket; crisp, bright green wrappers; no bumps to the corners; the book itself is tight and unread. Few deliver. This brings me to a true controversy in the collecting of Naked Lunch and all the Olympia Press titles. In January 1960 scarcely six months after the publication of Naked Lunch, the French government revalued the currency. The green rear wrapper of Naked Lunch possesses a price of 1500 Francs. Many copies are stamped in blue with 18 NF over the original price. What this means is that unsold copies of Naked Lunch were re-priced according to the new currency. There was no change to the content or format of the novel. Many dealers will list this book as a first edition, second state in order to indicate the alteration to the integrity of the book. They will also assure you that the stamp makes no difference. To me this is strictly a personal decision. I firmly believe that the stamp makes a big difference. I think the stamp compromises the beauty of the book. The wrapper does not look as clean to me. I would be willing to pay more for such a copy and I think many collectors agree. The question is always how much. As I stated, copies are always on the market. Average copies average $1500-2000, possibly less on eBay. Recently, I saw an unsigned copy, described as a spectacular copy, for $7500. With Naked Lunch, the truly beautiful copies are once-in-a-lifetime type occurrences and rarely hold up under close scrutiny. Similarly, described copies, some of them second issue, can usually be found in the $4000-7500 range. In my case, I was offered what I considered the most spectacular copy of Naked Lunch I had ever seen at a discount from an asking price of $5000. The copy coupled with the discount forced me to dip into my pockets at a time I did not expect to buy. Every time I place the book in my hands I feel happy with my choice. Written by Jed Birmingham and published by RealityStudio on 7 March 2006. 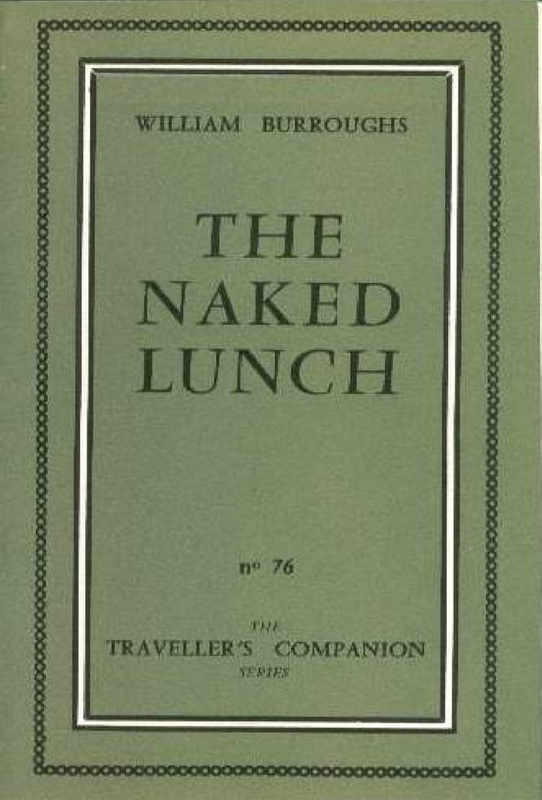 There is a remarkable association copy of the Olympia Naked Lunch on abebooks. Christopher Logue has ties to Paris in the 1950’s, Merlin Group and Trocchi, the British Poetry Revival and Olympia Press. Logue wrote db’s for Girodias. The copy could be signed near the time of publication given the association and the presence of “Seward.” The middle name is not common although Burroughs would sign with his middle inital. Note: it appears the book is missing the dustjacket which explains the low nature of the price given the association and the possibility of the early signature. Looks like an interesting association. I don’t recall seeing WSB use “Seward” at all. Does anyone know what the TEXTUAL differences form a 1959 edition and a 1965 print would be (through Olympia?) I really really hope someone does! I hope you won’t mind a question. 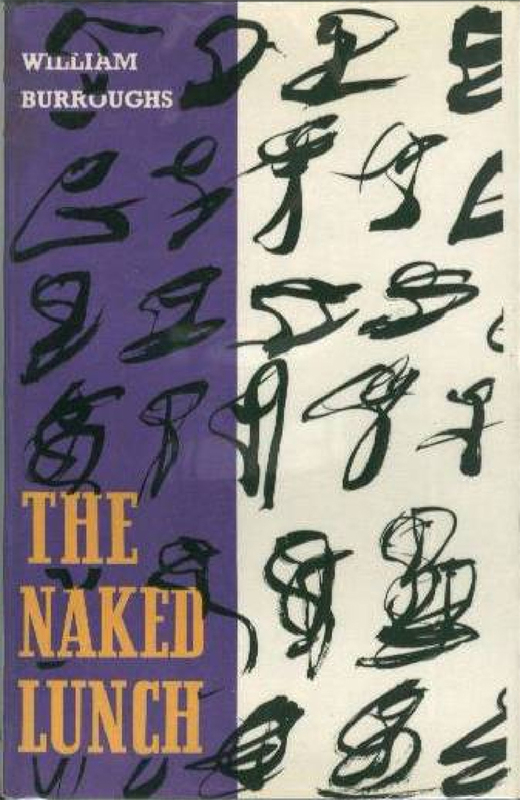 I have recently bought a copy of ‘The’ Naked Lunch. This copy does not have wrappers, but is really in what I would call ‘as new’ condition. Internally all the markings are for the July 1959 printing; however, the rear cover has 18 francs printed rather than stamped. Would this be considered a first? In January 1960 scarcely six months after the publication of Naked Lunch, the French government revalued the currency. 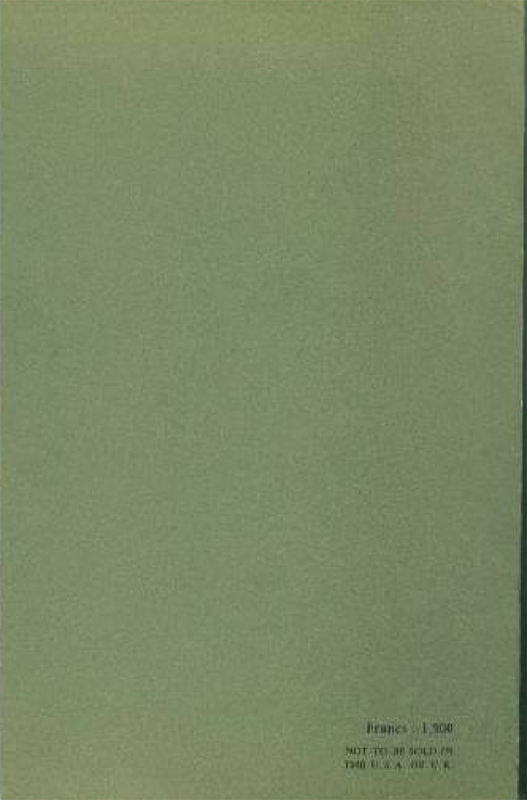 The green rear wrapper of Naked Lunch possesses a price of 1500 Francs. Many copies are stamped in blue with 18 NF over the original price. What this means is that unsold copies of Naked Lunch were re-priced according to the new currency. There was no change to the content or format of the novel. Many dealers will list this book as a first edition, second state in order to indicate the alteration to the integrity of the book. They will also assure you that the stamp makes no difference. To me this is strictly a personal decision. Is it printed as follows: “Francs : 18” ? Is there NO ornamental border on the title page? Also, check the last page. See if it says “2* trimestre 1965” If so, it’s the later printing.